The Vision X 4.5? 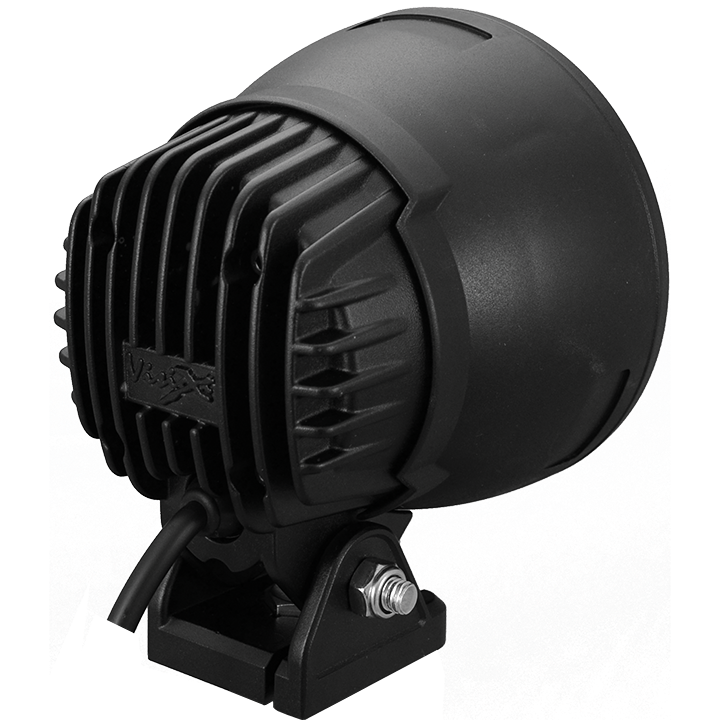 Light Cannon uses a single source 25-Watt LED and advanced IRIS reflector technology to place it at the top of its class in the single source LED lighting division. The Light Cannon utilizes a focused beam pattern to provide 1,000 feet of usable light, and is housed in a robust black aluminum polycarbonate hybrid housing for long lasting durability, even in the most extreme conditions. 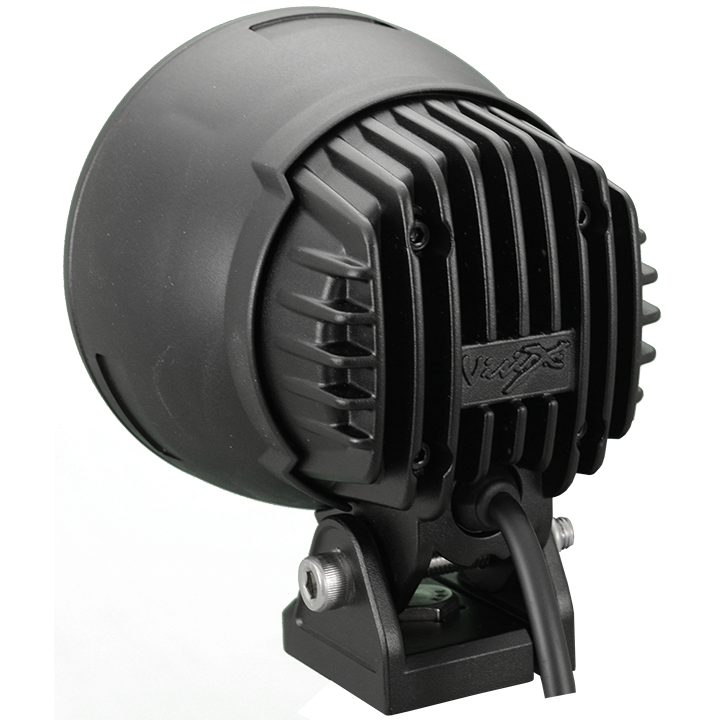 The Light Cannon comes standard with an extended warranty, single wiring harness, and a multi-volt 9-32V DC input. LED Light Cannons are available in a Two Light Kit that includes two 4.5? Cannons, a dual wiring harness for easy electrical setup, and an installation guide to help you get your Cannons hooked up. The Two Light Kit adds an additional 1,000 raw lumens to your build, bringing the total output to 2,000 raw lumens of light saturation between the two lights. 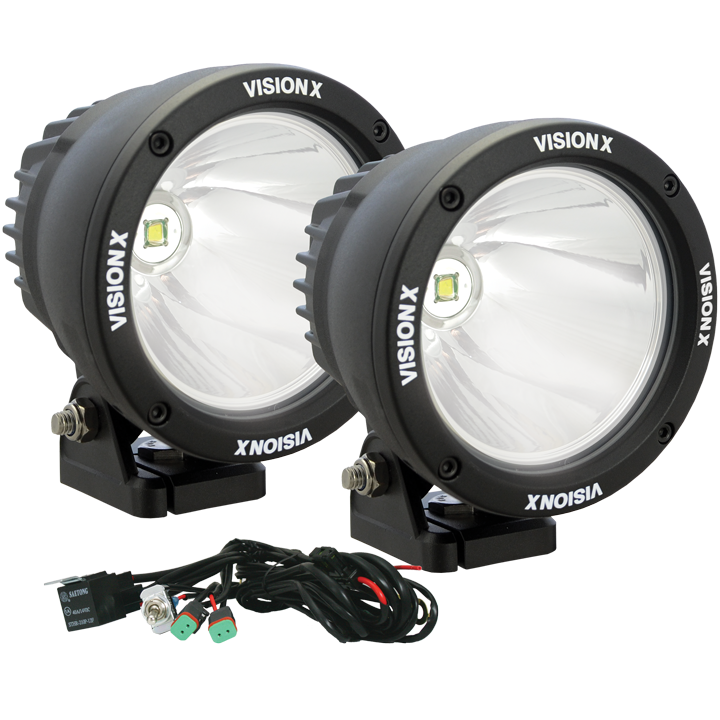 Vision X also offers mounting kits for various different applications to fit your needs. Polycarbonate Covers allow various patterns of light distribution, including Spot, Euro, Combo, Flood, Wide Flood, or Elliptical beams. Each of these beam patterns is also available in a variety of tints, including amber, red, blue, or clear. 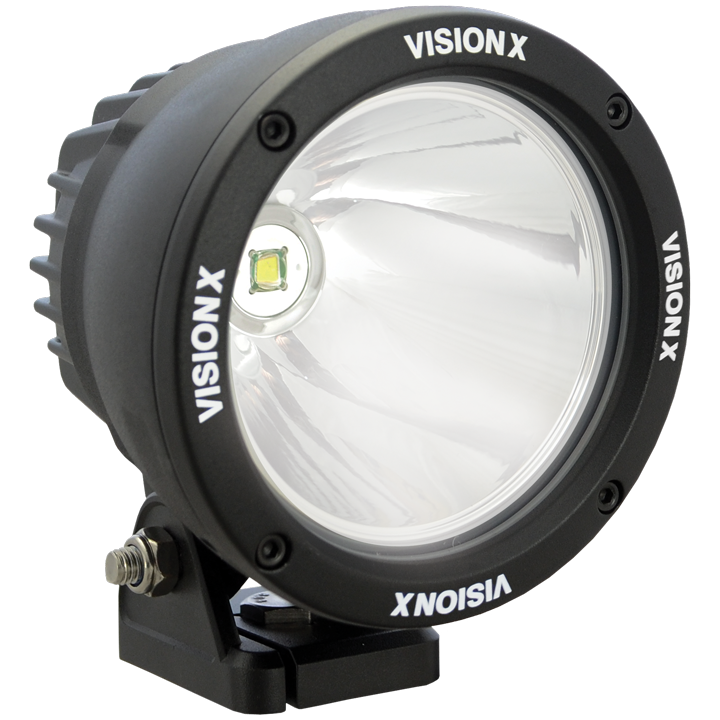 A Black Out Vision X logo cover is also available for added protection when your lights are not in use. All covers are created from a high-grade polycarbonate material that adds some extra protection to your 4.5? Light Cannon.